Remote sensing technology has been employed extensively for food crops mapping and monitoring. Despite its widespread utilization, analyses have been limited to single set of data. Rice monitoring, ideally, requires time series data and therefore needs high revisit satellite configuration. Nonetheless, very limited research has been dedicated to time series data. This paper presents a study on the use of MODIS time series data for understanding various stages of rice growth in Subang Regency. Two widely-recognized vegetation indices were compared, namely Normalized Difference Vegetation Index (NDVI) and Enhanced Vegetation Index (EVI). It is shown that 8-day temporal compositing scheme was unable to provide a proper dataset for this application. This suggests that detailed rice growth could be monitored solely in dry season. Andriarini, D. 2007. Identifikasi produksi padi dan penggunaan lahan di Kecamatan Blanakan, Kecamatan Ciasem dan Kecamatan Patokbeusi, Kabupaten Subang. Skripsi. Program Studi Ilmu Tanah, Fakultas Pertanian IPB. Bogor. Fang, H., Wu, B., Liut H., Huang, X. 1998. Using NOA AVHRR and Landsat TM to estimate rice area year by year. International Journal of Remote Sensing, 19(3), 1367-1393. Fang, H. 998. Rice crop area estimation for administrative division in China using remote sensing data. International Journal of Remote Sensing, 19(7), 3411-3419.
International Rice Research Institut (IRRI). 2007. Rice Today. diunduh dari http://beta.irri.org/news/images/stories/ricetoday/64/RF_Where%20now%20for%20the%20global%20rice%20market.pdf. Huete, AR., Didan, K., Miura, T., Rordriquez, E.P., Gao, X., Ferreira, L.G. 2002. Overview of the radiometric and biophysical performance of the MODIS vegetation indices. Remote Sensing of Environment, 83, 195-213. Panujut D.R., Trisasongko, B.H. 2008. The use of statistical tree methods on rice field mapping. 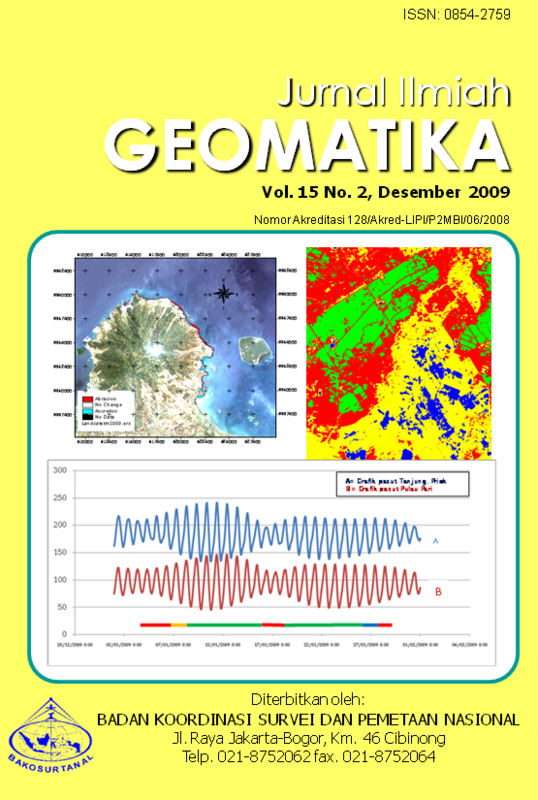 Jurnal Ilmiah Geomatika, 14(2), 41-50. Trisasongko, BH, Raimadoya, M.A., Manijo. 2009. Pemanfaatan data SAR polarimetri untuk observasi sumberdaya lahan. Pros.Geomatika-SAR Nasional. p.148-157. Van Niel, TG., McVicar, TR. 2001. Rem.Sens of rice-based irrigated agric. Rice CRC, p. 52. Xiao, X., Boies, S., Frolking, S., Li, C., Babu, Y.J., Salas, W., Moore III, B. 2006. Mapping paddy rice using multi spectral MODIS image. Rem.Sens. of Env., 100, 95-113. Xiao X., Boles S., Liu J., Zhuang D., Frolking S., Li C., Moore III, B. 2005. Mapping paddy in Southern China using multi temporal image. Rem.Sens. of Env., 95, 480-492.